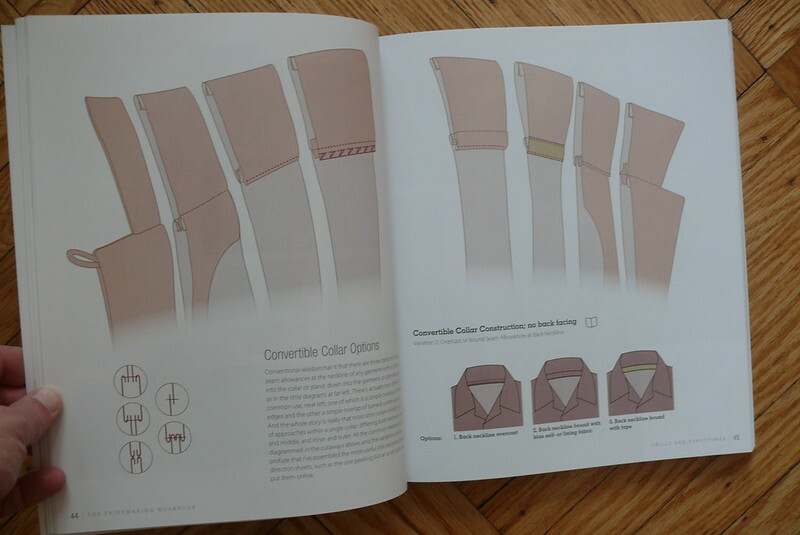 Book Report: The Shirtmaking Workbook! Hi, guys! Hope you’re all well! It’s been so long since I last blogged- I’ve missed you guys! Between starting a new job, taking an accelerated summer session class at FIT, and teaching a class at Brooklyn Craft Company, things have been really hectic around here! 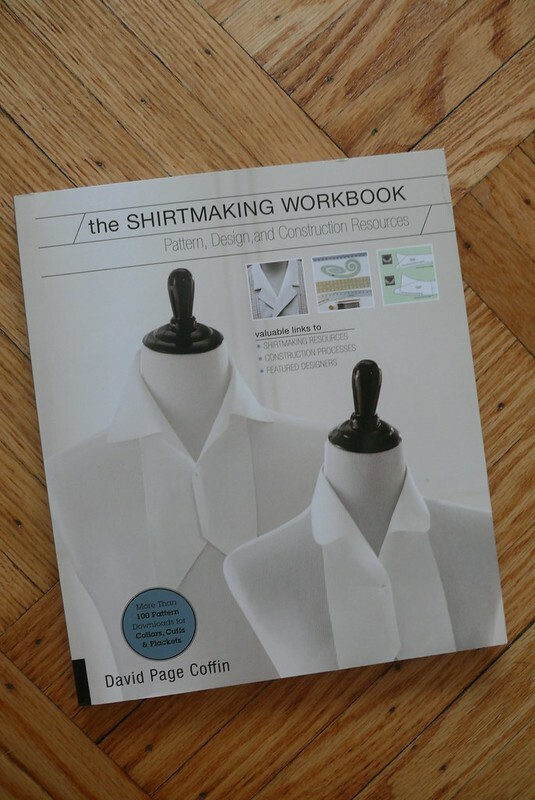 But even though I haven’t had much time to sew, I’ve been missing that part of my life, and so I was really excited when Creative Publishing offered to send me a copy of David Page Coffin’s new book, The Shirtmaking Workbook. It’s really been enjoyable to read through the book, dreaming about adaptations I can make to my favorite shirt patterns! I should probably preface this review with the fact that I really love shirts. I love wearing them, and I’ve even come to enjoy making them. I even love making them for other people! There’s just something so satisfying about the process of making a shirt. So I find this book particularly thrilling because it focuses on the details of shirts. 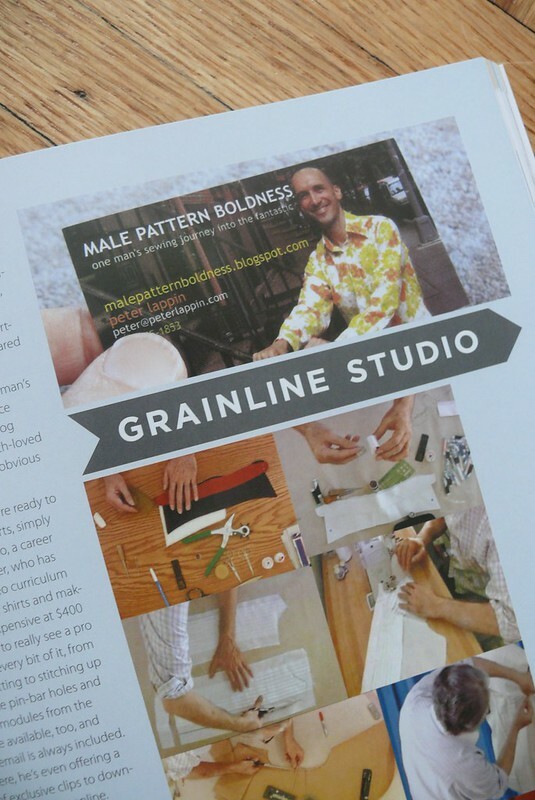 I really appreciate this- sewing patterns can be very basic, especially for things like men’s buttondowns, so it’s nice to have a resource to help you customize your handmade garments. DPC’s (I should probably just refer to him as David, but that doesn’t seem formal enough and also doesn’t make him sound like a rapper) previous book, Shirtmaking, is a very thorough guide to making elegant, professional shirts. I bought it when I first started sewing shirts, a few years ago, after it was recommended on several blogs. I have to confess, though, that as a new sewer, I was overwhelmed by all the detail and wasn’t ready for such a serious book. I need to revisit it now that I have a better understanding of basic shirt construction so I can finesse my techniques a bit! 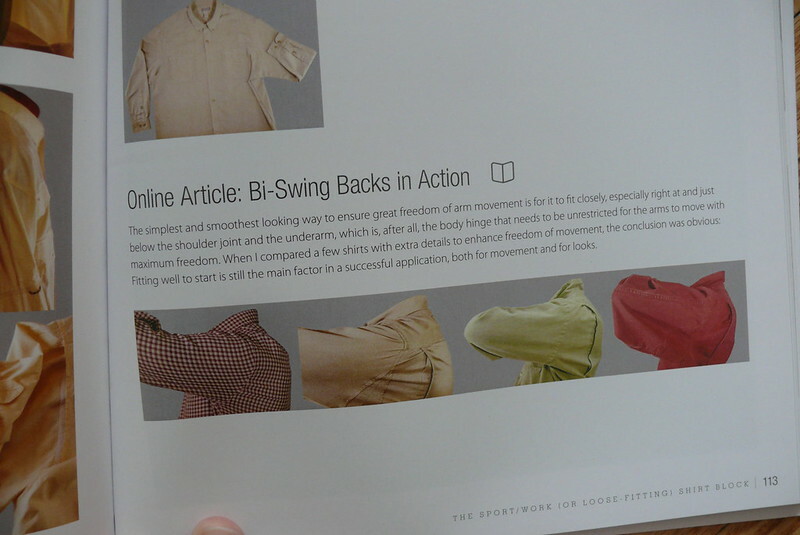 The Shirtmaking Workbook feels quite different from Shirtmaking, to me. It is very design-oriented, with lots and lots of photos. DPC investigates a number of RTW shirts and compares their details and construction. I love snooping at RTW clothing, particularly higher-end clothing, so it’s really fun to look at these examples. He also looks at vintage shirts, which I found really interesting and I’m guessing many of you would really be into! DPC’s approach to shirtmaking is to work from blocks and change up the details. This makes sense to me, especially since most people who have been sewing for a while have a shirt pattern that works for them. He discusses blocks and useful sewing techniques, and after that, the final five chapters each deal with options for a particular kind of shirt: the dress shirt block, the sport/work shirt block, the knit shirt block, the folk/rectangular shirt block, and the shirt jacket. 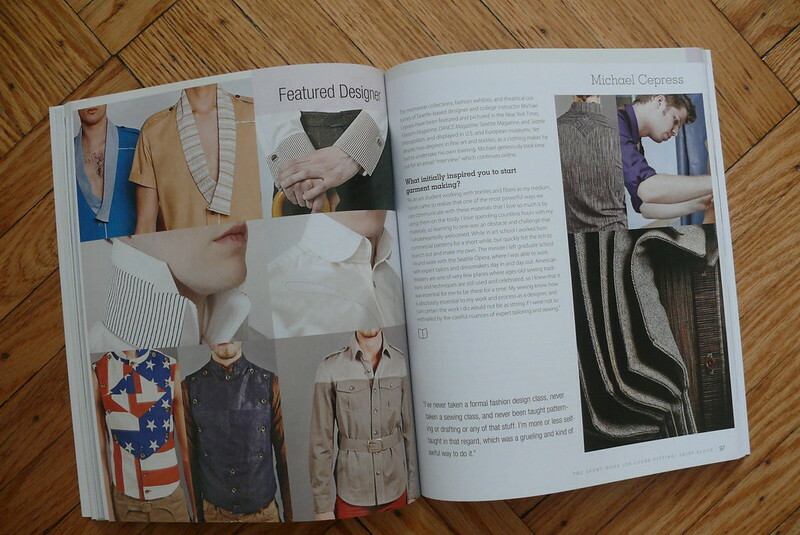 Also included in the book are profiles of several designers. I really enjoyed seeing their work and reading about them. I found them all very inspiring! And at the end of each chapter, there is a section entitled “Resources”. Here DPC suggests further reading, whether in the form of books, blogs, DVDs, or Threads articles, as well as specialized tools and techniques. Yeah, I can definitely google different techniques, but it’s nice to have a vetted list of the best resources! An interesting thing about the book is the online content. The book was released earlier than anticipated, so not all of the online content is available, but what I saw and downloaded was very cool. There is a PDF guide to all of the resources that are available so you can find what you’re looking for in an organized way. There are large photo sets of the different garments that are featured briefly in the book so you can take a closer look at the shirts. There are lots and lots of patterns for different collars, cuffs, plackets, etc. I wondered how you could have patterns for things like this that could be multisized, but the collars are sized by the length of the neck opening (ex: 12″). I haven’t had a chance to use any of the patterns yet, but I’m looking forward to it. There will be interviews with the designers featured in the book (they weren’t ready for download yet when I last checked the website), and there are detailed instructions for some of the techniques that are briefly discussed in the book. Considering that the retail price of the book is $27 and you can get it on Amazon for less than $20USD, even if you only got the online resources that are available right now, you’d be getting a bargain. So I’m looking forward to checking out the additional resources as they become available! 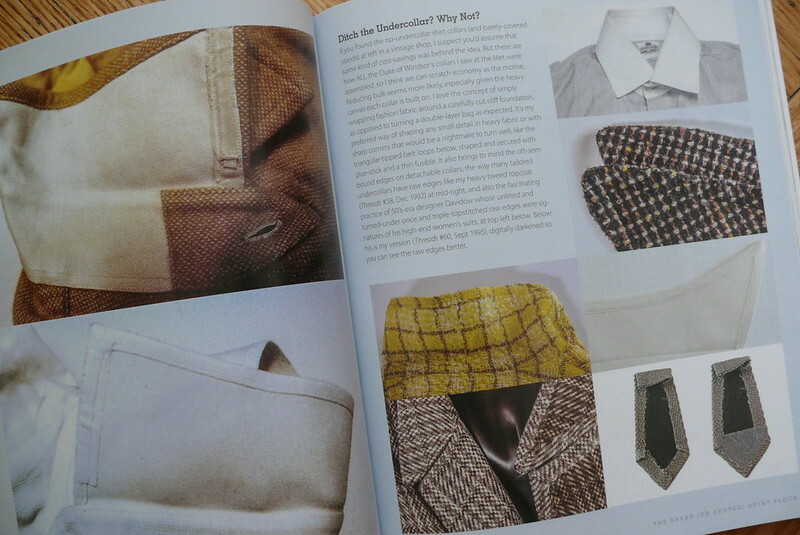 I found this book really interesting and was really inspired by DPC’s approach to shirtmaking. His attitude isn’t “do it like this”, but rather, “try it and see what happens”. 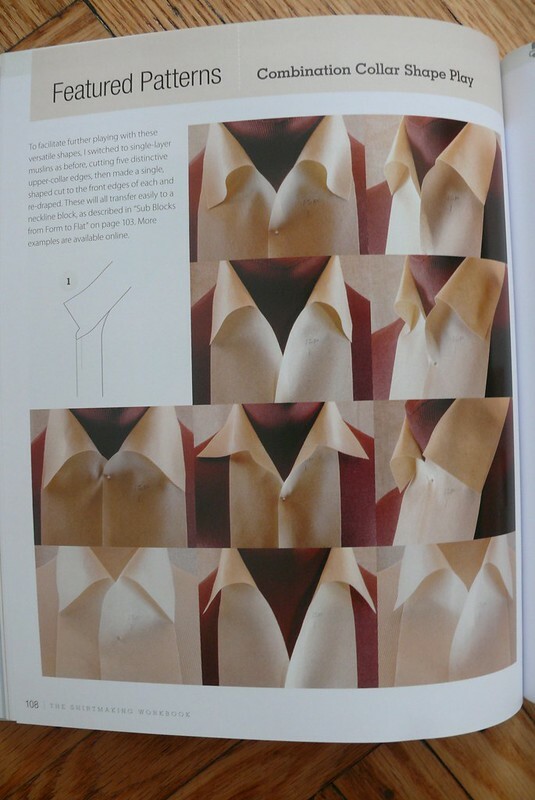 For example, he shows you different collars and photographs how they look when you change the shape up slightly. I’m really excited to drape a couple of different collars and see what they look like! 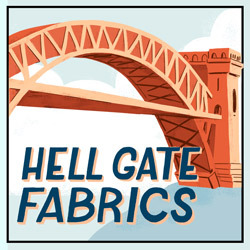 I know in the online sewing world, sometimes it feels like there’s a scarcity of books that aren’t aimed at beginners, so it was really refreshing to find a book that (I think) would be inspiring to newbies and advanced sewers alike (and super inspiring to shirt geeks like me)! « Papercut Patterns Guise Pants! I got the book as well. I shall be looking at the online content. The pictures are wonderful aren’t they? They really are! I found them so inspiring! Bring it on, I love a great shirt and they seem to be the one thing I make that I know will get worn, no matter what. I too found DPC’s first book a bit of a tome. Will definitely investigate this one, thanks for the review. I purchased the first book a few months ago & love it. I find his writing very relaxed and easy to read which is always refreshing. When sewing a BurdaStyle shirt recently I didn’t even bother to read the Burda instructions and simply used a few blog posts and this book. I even used his placket pattern as the Burda one was just too small and messy. I ordered this book as soon as I saw it pop up on Instagram. Now I’m eavey awaiting its arrival. I think you will really like this book! I can see you getting really inspired by all the possibilities. And it’s so nice to get to a point where you’re confident enough about construction that you can just go right into making something without really using the pattern instructions (especially with Burda!). Whoa lady – you are a busy bee! I love sewing shirts too – it always feels super therapeutic to me. This looks like a great book – thanks for the review! It’s been a crazy summer! But August should be quieter, so that will be nice. You’re so right- “therapeutic” is just the right word! It’s something about the way shirts feel very broken down into little bits… you can sew for only half an hour and still feel like you accomplished a major step in that time! I love making shirts, the precision and the details, this book looks great. I think youre right, when youre a newbie you don’t want too much detail, but as you improve it’s really good. If you like precision and details, I bet you will love the book! I just wish I’d had it last week when I was fighting with a camp collar without a facing… I couldn’t get it on right for the life of me! Looking forward to seeing your shirtdress! This is fantastic! My man is one of the people that puts on Advertising Week NYC and Europe, so I try to make him a new Negroni for each event & year. I’ve gotten the fit customized, pick out really nice fabric, and tinkered with the cuffs, but would love to start on even more detailing. This makes for some excellent inspiration! Ooh, how fun! That’s such a good excuse to make him a fun new shirt! I bet you would enjoy this book… it’s fun to see all the different things you can do to just one pattern! Does he get to travel to New York and Europe? And do you ever get to tag along??? Wow! That Pinterest board! I am going to be late for work, bed… And the book looks so inspiring. Right??? Oh my gosh, so much inspiration! Glad to have you back! I’ve taken my first step towards unselfish sewing and purchased a mens shirt pattern for hubby, so this is a very timely post! I’m definitely going to check this book out and the other resources. Thanks! Happy sewing!!! I need to make another shirt for Blake… it’s so fun to see your fella in a shirt you’ve made for him! Which pattern are you using? Can not wait to get my grubby mitts on this book! My shirtmaking love is well documented (as is my love of his previous book) so it’ll be an interesting read! You will LOVE this! It’s right up your alley!